Today is the first day of Busy Bees Material Girls exhibition. It's been a lot of work but Sue and I , aided by our wonderful husbands and family finally got everything together. We are both so pleased with the result. We do hope you all come and have a look at the amazing work of Busy Bees talented customers. The show stated at 11.30am until 4pm each day from today the 4th August and runs up until Friday 10th August. Entry is free into the exhibition. This weekend we have arranged 'Have a Go' workshops in the Orangery, where you can make a hexagon coster or an embroidered bookmark. Tomorrow you can also have a go at Welsh quilting. If you decide to have a look around Tredegar House, we have also arranged needlework demonstrations. 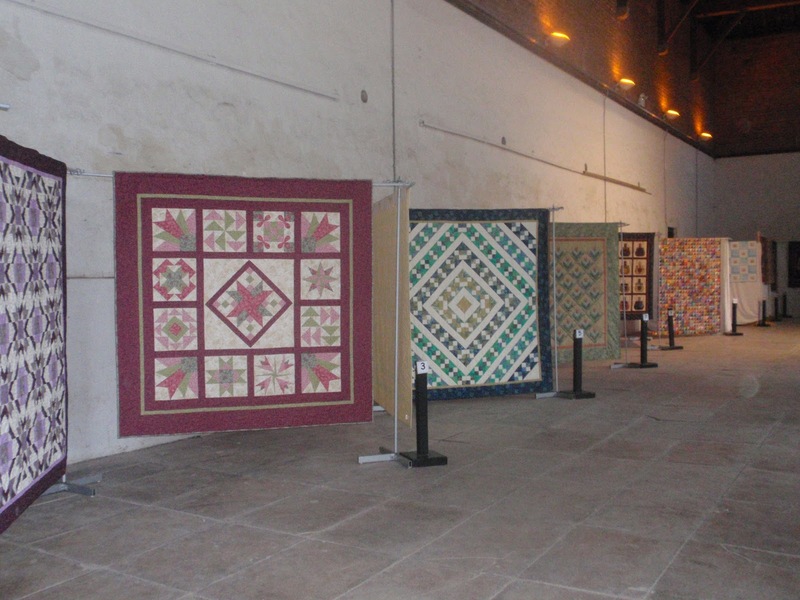 Today you can see stumpwork, Welsh quilting and hand applique being made by the experts. Tomorrow we have lace making, patchwork and beading. We look forward to seeing you and hearing your comments .